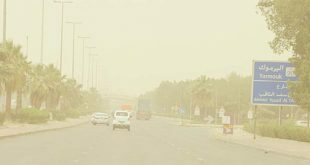 KUWAIT CITY, April 20, (KUNA): The weather during the weekend will be dusty due to the moderate and active winds, said the official at the Kuwait Meteorological Department Abdulaziz Al-Qarawi Thursday. 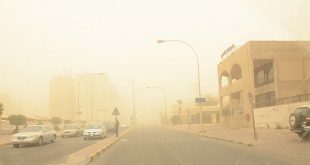 Speaking to KUNA, Al-Qarawi said that the lowest temperature on Thursday reached around 23-26 Degrees Celsius during the evening while wind speed was between 15-42 kms per hour (kph). As for the status of the sea, Al-Qarawi said that waves was light to moderate at a height of two to six feet. 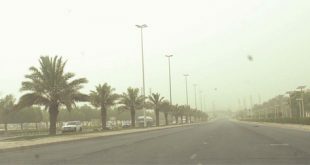 Friday weather will be dusty due to the active northwest wind at speeds between 25 to 55 kph, the high temperature will be between 34-36 Degrees Celsius, said Al- Qarawi. 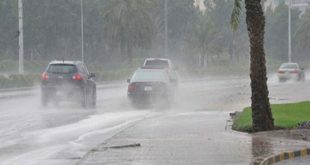 The status of sea Friday will be moderate to high waves at heights of four to six feet, said the meteorologist. The lowest temperature on Friday will between 23-25 degrees. 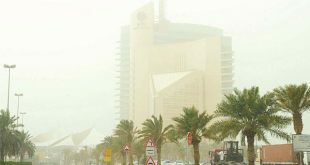 Al-Qarawi said that Saturday would be relatively hot with a moderate to active northwest winds at speeds of 20 to 50 kph causing dust. Highest temperature will reach 37 Degrees Celsius and the lowest between 23-25 degrees. Status of the sea will be moderate to high waves at three to six feet high during daytime and light to moderate at the evening at two to five feet high.